franchising opportunites | Franchising You. Many young men and women dream to one day own their own business. Whether they take over a family business or begin their own adventure, millennials want to make a difference. It’s no secret, young professionals these days have high expectations and aspirations. Growing up with innovative technology and high-tech discoveries, younger generations are using technology as an advancement to optimize business. Millennials have technology on their side growing up with constantly evolving products. According to a recent Bank of America report, the future looks bright for young business owners. Millennials are the next “big thing” when it comes to entrepreneurship. The report also mentions Millennials and Gen Xers rated themselves significantly higher than Baby Boomers on the tech savvy scale. Owning a TWO MEN AND A TRUCK® franchise is a perfect opportunity for young, driven, tech savvy individuals. The franchising concept is predicated on time- and franchise-tested business models with the latest in tools and programs expected by their leaders. The flow of information into central databases exists in order to leverage business intelligence system-wide, not to mention automation of point-of-sale systems, marketing tools to understand how best to reach core audiences, vast opportunities to achieve economies of scale, and more are all givens within the game. Franchising is a unique opportunity to advance your career quickly and be part of something proven with a lower risk compared to facilitating a start-up. Bryan Jones, TWO MEN AND A TRUCK® Lafayette, La., Franchisee recently became a franchise owner after working his way up in the system and learning various job roles, which will greatly benefit him as he transitions to business owner. As a young professional, Bryan has taken full advantage of a franchising opportunity and hasn’t looked back. The attraction of franchising to millennials is evident. This is why franchisors and businesses are beginning to target younger generations for business growth and entrepreneurship opportunities. Their confidence in business systems and the economy, as well as their tech savvy abilities, make them perfect candidates to become small business owners. TWO MEN AND A TRUCK® always seeks young, tech savvy businessmen and businesswomen to grow and expand the brand nationally. The franchisor, which is usually h eadquartered under a roof to centralize processes and people, provides all of the tools and resources already set in place for franchisees to utilize. The corporate IT team is also a great resource for any tech questions on various system platforms. No need to worry about buying a software package to run your franchise, the Home Office team has already designed and built one for you. Millennials are the perfect candidates to start a TWO MEN AND A TRUCK® franchise and optimize the business to its fullest potential. Millennials are “… the most powerful of US economic players,” said Jeff Fromm in Marketing Tips for Winning with Millennials in the December Issue of Franchising Wrld. 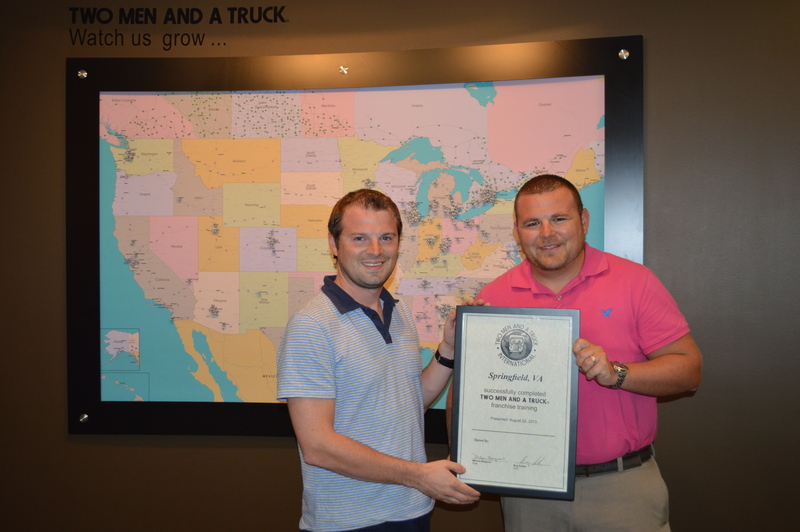 TWO MEN AND A TRUCK® recognizes young talent! Nearly 19 percent of system franchisees are under the age of 35. We would love to see that number increase in upcoming years! Franchising with TWO MEN AND A TRUCK® creates endless opportunities, growth, and potential for your career. Kathleen White is a successful franchisee in Virginia Beach. Her story is incredibly inspiring for those who are considering entering the franchise industry, especially when it comes down to leaving a career of familiarity. 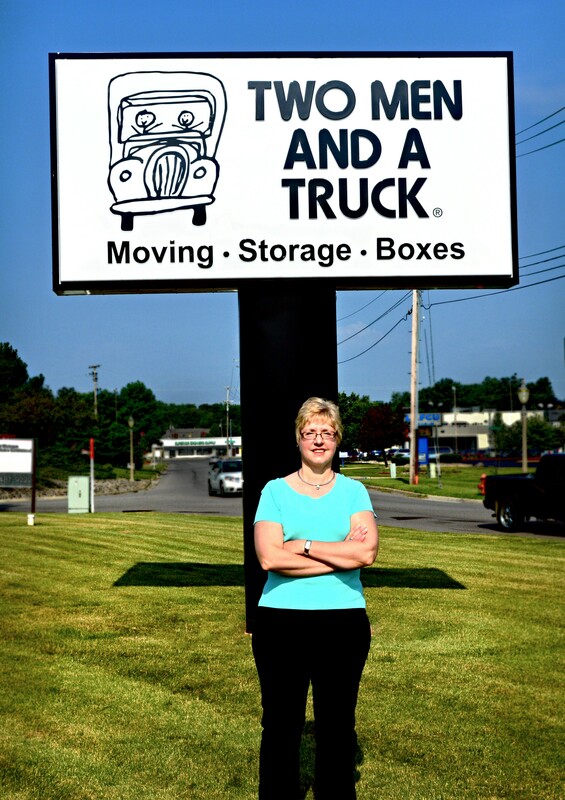 Kathleen’s life completely changed when she made the decision to quit her long-time job in Michigan to become a TWO MEN AND A TRUCK® franchisee in Virginia. Q: What peaked your interest about opening a TWO MEN AND A TRUCK® franchise? When did your franchise officially open? Kathleen: At my previous position with the State of Michigan, I worked with the TWO MEN AND A TRUCK® headquarters when they were looking to expand their corporate offices. The more I got to know them, the more I liked what they stood for – I was attracted to their high level of integrity, their commitment to the community, and we shared similar values. When I learned about the franchise opportunity, I felt like it was a great fit. We opened our Virginia Beach franchise on September 9, 2013. Q: What was the deciding factor to open a TWO MEN AND A TRUCK® franchise? Kathleen: I was ready for a career challenge and I saw this as an exciting new adventure! I did my homework and our research revealed Virginia Beach to be a very strong market. I was raised in the south and was looking forward to moving back to that part of the country someday. When I learned about the new territories opening up in Virginia, I jumped at the opportunity! Q: What was your previous career, prior to becoming a franchisee? How do you think your background will positively affect your role as a franchise and lead your franchise toward success? 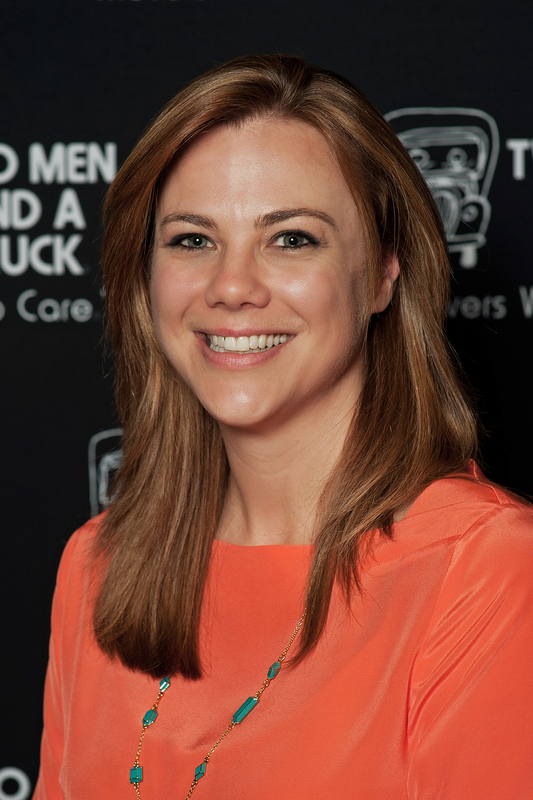 Kathleen: I did economic development for the State of Michigan for 19 years prior to joining TWO MEN AND A TRUCK®. In my role as a business development manager, I worked with many different types of companies of all sizes. I learned a lot just from watching them grow and also from observing their missteps and how/if they recovered from those mistakes. I have a strong sales and administrative background. I recognized this was a chance for me to bring the proven, trusted system that TWO MEN AND A TRUCK® offers, to the moving industry in this region. I was very excited about bringing the brand to Virginia Beach! Q: Describe your franchise’s success in its first year and a half. What major milestones have you achieved? Kathleen: We are so proud of the work we have done in our first year! In this industry, some key highlights are worth noting. We surpassed our projected sales by more than twice what we predicted! We doubled our trucks from 3 to 6 and increased our staff to 20 people. We have the best moving crews in town and a very low turnover rate with our movers, even during our busy season. We are proud of our safety record and we have had no notable injuries or worker’s comp claims. We have had no Department of Transportation (DOT) violations and passed our first DOT audit with flying colors! Q: What was the hardest part for you when you completely reinvented your life and became a franchisee? Kathleen: It was difficult to leave a very satisfying job with great pay, benefits, and retirement and head into the unknown, especially into an industry I had absolutely no experience in! I left my family, friends, church, and my life in Michigan to launch a new career with TWO MEN AND A TRUCK®. At my stage of life, most people are focusing on retirement and winding down their work career. I took a risk and invested my retirement into this franchise, but I’ve never looked back! I believed in the brand and my ability to successfully bring the brand to the Virginia Beach area, so I was willing to take a leap of faith. That’s how strongly I believed in this opportunity and my purpose within it! Q: What advice do you have for someone who is thinking about leaving a career (one they are comfortable with and are used to for so many years!) to go franchising? Kathleen: Well, it’s not for the faint of heart! But, there really is less risk than it might seem at first. The brand is known and trusted and the support system is already in place. There is assistance to help get you started and other franchisees are absolutely invaluable in their willingness to share their experiences and expertise. Franchisees are a tremendous resource; however, you should do your homework and be sure you have weighed all the various factors and life changes this may entail. If you are ready for something new, exciting, and very rewarding, I highly recommend you take the plunge! Q: What are your plans or goals (for your franchise or franchising in general) for 2015? What about your five-year goals? Kathleen: Obviously, our goal is to grow sales in our Virginia Beach location and continue to develop brand recognition. There is great potential in this market and our intention is to continue grabbing market share. Our five-year goal is to purchase another franchise either in this area or in another East Coast state. 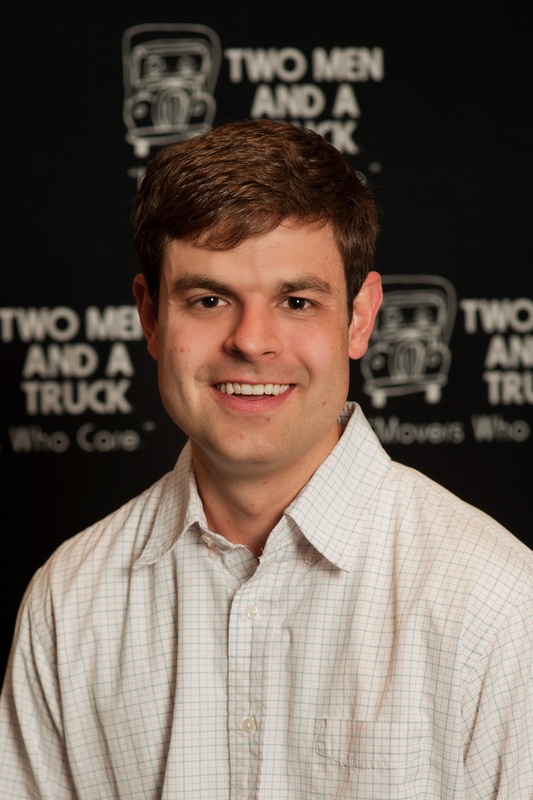 The TWO MEN AND A TRUCK® franchise system is the largest, fastest-growing moving franchise in the country. Did Kathleen’s story intrigue you? Be sure and check out twomenandatruckfranchising.com for additional information on how franchise opportunities can advance your career.